A still photograph is a limited format for capturing moments that span an interval of time. Video is the traditional method for recording durations of time, but the subjective “moment” that one desires to capture is often lost in the chaos of shaky camerawork, irrelevant background clutter, and noise that dominates most casually recorded video clips. 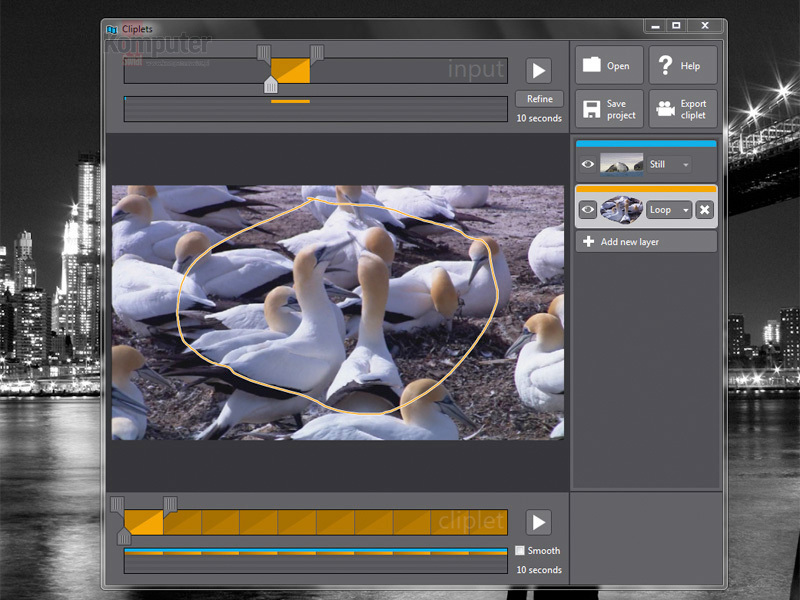 Microsoft Research Cliplets x64 is an interactive app that uses semi-automated methods to give users the power to create “cliplets”—a type of imagery that sits between stills and video from handheld videos. The tool provides a creative lens one can use to focus on important aspects of a moment by performing spatiotemporal compositing and editing on a video-clip input.